Just login to your account on your smartphone, select a reward and show code to staff. Points are collected and stored online where you can collect and redeem when you want. 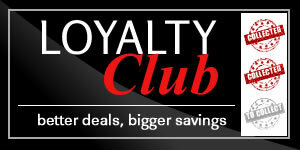 Collect points through our customer loyalty rewards. Not registered yet? signup today! 1.1 A QR code is required to collect or redeem points. 1.3 Each QR code can only be used once. 1.4 Each QR code is unique to a customer and is not transferable. 1.5 There is no guarantee or warranty as to whether the QR works although reported technical difficulties will be investigated. 1.6 It is at the discretion of the pub whether or not to accept QR codes. 1.7 If you lose your printed QR code and it is used by someone else no replacements or re-imbursement will be issued. 1.8 If you print your QR code and no longer wish to use it then just delete it. 1.9 Printed QR codes cannot be cancelled. To prevent use, it must be deleted. 2.1 You must be a registered customer to participate in the Loyalty Reward Scheme. 2.2 Registration is free and done online although there may be a manual registration method. 2.3.1 All terms and conditions and any subsequent changes. 2.3.2 Where any dispute is raised, the final decision is with the venue. 2.3.3 Indemnify the venue and the service operator against any loss of damages. 2.3.4 The venue and the service operator will not be held liable or responsible for any losses incurred from participation in the scheme. 2.4 Operation of the scheme is done in good faith and changes to the schemes, rewards, collection methods and redemptions are done so as required by the venue. 2.5 There is no cash alternative with any reward. 3.1 The primary method of collecting and redeeming points is via a smartphone. 3.2 Where it is not possible to use a smartphone then you may print out your QR code. 3.3 Points are not added or redeemed until the QR code is scanned at the bar. 4.1 To collect or redeem points requires an internet connection. 4.2 There is no guarantee of internet network availability. 4.3 Where network availability is unavailable then it is at the discretion of the pub whether they can add/redeem points manually. 4.4 Points are added/redeemed immediately. 4.5 You can check your points balances at any time using your pub website login. 11 everton road, potton, bedfordshire, sg19 2pa . T:01767260231.